I was born and raised in Southern California, and have lived in Maryland since 2000. I have lived in Alaska, Maine, Northern & Southern California, and Florida due to my military service. My wife, Holly, and I have been married since 1981 and we have three adult children. I have always believed in God due to my religious, Catholic upbringing. It was during my high school years that I first began to understand God’s love for me, but it would not be until my early twenties that I would realize my need for a personal savior, which led me to trust in Jesus Christ alone as Lord and Savior. I am convinced that faith in the finished work of the death and resurrection of Jesus Christ is the only means by which man may be saved from his sins, and I find this fact often reinforced throughout God’s word, the Bible. I have been attending Calvary Chapel of Delta since 2003, and serve in the Recorded Word Ministry (making CDs). I also lead the Foundations of the Faith class, which is an ‘entry-level’ study course for new believers and for those who want to reinforce their knowledge of God through the Bible. I enjoy being with this study, as it is encouraging to me to share with others how God’s Word is as relevant today as it was when He first revealed it. 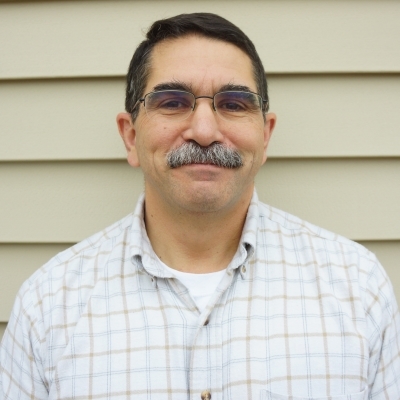 Dave leads the Foundations of the Faith Class, and serves as part of the Pastoral Care Team.